MANTA Water Sports is San Diego’s only Kiteboarding School and Equipment Dealer. We are the only kite school in San Diego that offers certified, licensed and insured instruction. We have safely trained thousands of people, to kiteboard, since 1999. We are #1, for a good reason -- we love to teach kiteboarding! We pride ourselves on giving you the most comprehensive lesson, with the safest techniques, that allow you learn faster, safer and with more confidence. All of our Kiteboard Lessons are taught by one of the safest and most experienced kiteboarding instructors in the nation, John Arthur. John Arthur is San Diego's only PASA and IKO certified instructor. 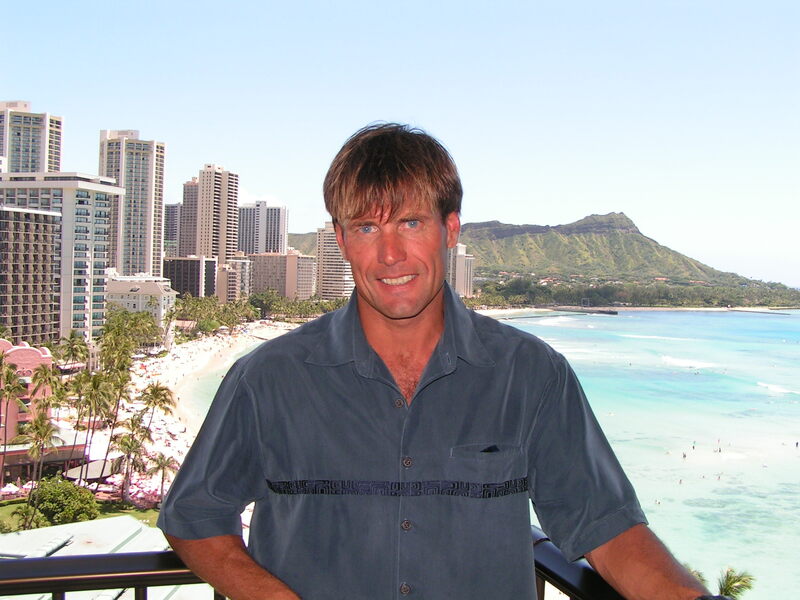 He has a 100% safety record and has over 18 years of experience teaching kiteboarding. Your safety and success in the this sport are directly related to the quality of your instruction. Don't be fooled by false operators, who pretend to use certified instructors. Kiteboarding is an extreme sport. You can't afford to risk your safety or success, on anything less than the best. 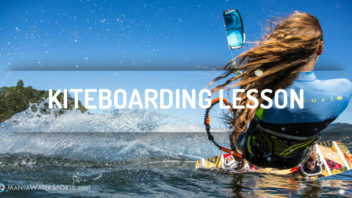 We structure our lessons to provide you and your friends with a safest and most productive Kiteboarding / Kitesurfing experience available. Manta specializes in training men, women and children ages 12 years and up. We Provide all the required equipment for our lesson programs. We know the best way to learn Kiteboarding quickly and safely, is with “Hands On” performance and practice, using the right gear for the conditions. We will have you flying the real kite sooner, and safer. Our lessons are designed to teach you the skills you want, with the safety, you need. The choice is simple ... If you want to learn Kiteboarding, Quicker and Safer, from a real kiteboard instructor, with the safest record — Choose, MANTA Water Sports. John Arthur is San Diego’s only PASA certified kiteboading instructor. He founded Manta Water Sports, and started teaching kiteboarding in1999. He has maintained a 100% safety record the entire time. John has an undeniable passion for teaching than shows in all his lesson programs. His 18 years of teaching experience are exemplified in all his lesson programs. 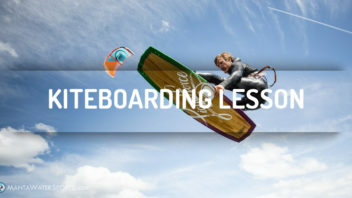 John teaches beginner to advanced level kiteboard lessons all year and he knows how to get you to ride. Best of all, he continues to offer free training tips and advise to his students, beyond their initial lesson. We offer beginner to advanced levels of instruction. We teach most days of the week and all year long. 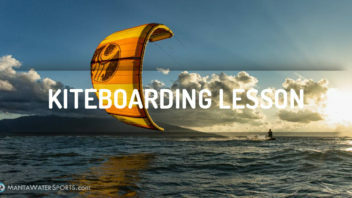 All of our Kiteboarding lesson programs are Performance Based so you can learn at your pace and comfort level. We teach as fast as the students can safely perform the land or water skills. If you learn really quickly, you could even be riding a board in your first lesson. Our Kiteboarding lesson skill demonstrations are quick and to the point, so you have more time in the lesson to practice flying the real kite, and experience the thrills of kiteboarding for yourself. We provide all the required kite and safety equipment during your lesson. Yes, we even privide radio helmets for use, during water skills, if you need them. Go ahead -- choose the class that best fits you from the choices listed. Note: Minors (under 18 yrs) must have a parent present to fill in required waivers, or arrange to have them filled in prior to lesson date. Private, Semi-private, or Group kiteboarding lessons. Buy the Finest and Safest Kiteboard equipment today. 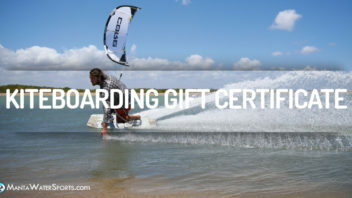 Kiteboard lesson gift certificates. The perfect gift.